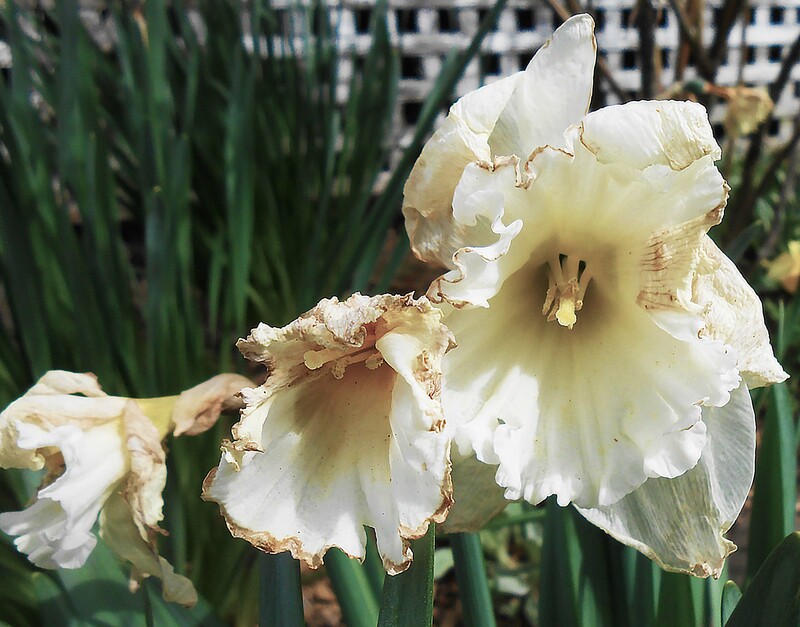 Long-stemmed daffodils, whose faces are flushed by a cold spring storm, act as if their lover, the sun, has left too early and is done. Flowers like drunken ladies, brazen young daisies, mouths full of desperate drink, mistake their first kiss for a one-night stand, a near miss. Still held high by our admiring eye, ‘quisitive camera is not too shy, we share a photo of their distress, for a thousand or so views, no less. Even though it’s a trick of mirrors, we know the sun eventually reappears. Our gaze, tense upon the fragile reflections of Narcissus, for it is blossom’s desire we yearn to witness. I have always enjoyed poetry which makes me smile, makes me feel good. Some are deep with content and intent, while others are evoking. Thank you Elan, for the most profound message I’ve heard all day. I’ve always been intrigued by the process of “making” a reflection. Sometimes, it’s an uncomfortable process. The perfect combination of fine poetry and outstanding photography! Happy Easter, Elan! Your words really do reflect the picture. This is delightful. The picture is wholly disconcerting, as beautiful as it is…same for the poem. It stirs memories of youthful misadventures I’d never want to relive. I appreciate a piece that can make me squirm.